Alpine Snow (NLL00), A-Rose At Dawn..Broke by Noon (NLV11), Aurora Berry-Alis (NLI64), Berry Fairy Fun (HRK08), Black Cherry Chutney (NLI43), Black to Reality (HRK12), Bogota Blackberry (NLF52), Candied Kingdom (HRK10), Dancing Keeps Me On My Toes (HRK01), Dazzling Dew Drop (HRK05), Dreams Need Clara-Fication (HRK03), Envy The Adventure (HRK06), Ginger’s Revenge (HRK11), It’s A Girl! (NLH39), Lavendare To Find Courage (HRK07), Less Is Norse (NLI59), March in Uniform (HRK04), Princesses Rule! (NLR44), Reykjavik Has All the Hot Spots (NLI63), Samoan Sand (NLP61), Charged Up Cherry (NLB35), Suzi & The Arctic Fox (NLI56), Berlin There Done That (NLG13), Tinker, Thinker, Winker? (HRK02) and Toying With Trouble (HRK09). Showing 2 of our total 7 reviews, with an average rating of 5 stars. 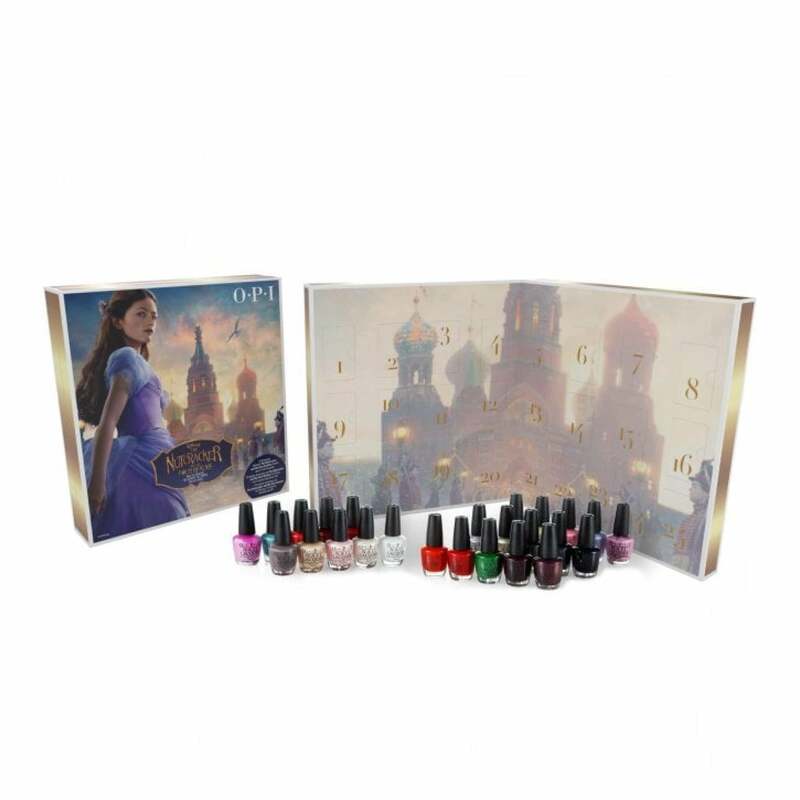 Read all 7 reviews for OPI The Nutcracker 2018 Nail Polish Collection - Mini 25-Advent Calendar (HRK34). Great selection of colours especially for the winter. I was so desperate to get one of these that i bought in Black Friday deal, wish i had waited as today its reduced further.